Interested in becoming a Player? The Individual Player is always at the center of our decision making process. Every decision reflects a desire to facilitate each and every player in reaching their own personal best, in soccer and life. To that end, coaches and parents are charged with the responsibility of teaching players in an individualized way that will get to the core of how that particular player learns and grows. Coaches in particular must be willing to empower players to make decisions on the field that will allow them to explore the limitations of their abilities, in spite of the possibility this may make winning a specific game more difficult. The player too has responsibilities. A player must realize that she or he represents themselves, their family, team and club every time they are part of any club function, game, practice or meeting. Players must show respect to each other, as well as, opponents, and coaches. Behavior is expected to not only be appropriate but to convey a sense of common courtesy and friendliness always but particularly on out of town tournaments. Finally, a player must take personal responsibility for getting better. Without hard work and practicing on their own a player will likely not advance at a favorable rate. With dedication to getting better a player can find his or her own game within. On the next page you will find a player’s expectations sheet for players U11 and up. This may be amended for your team if you like. I will make ourselves and our families and our team proud, not because we win but because we will play always with pride, passion, creativity and love! 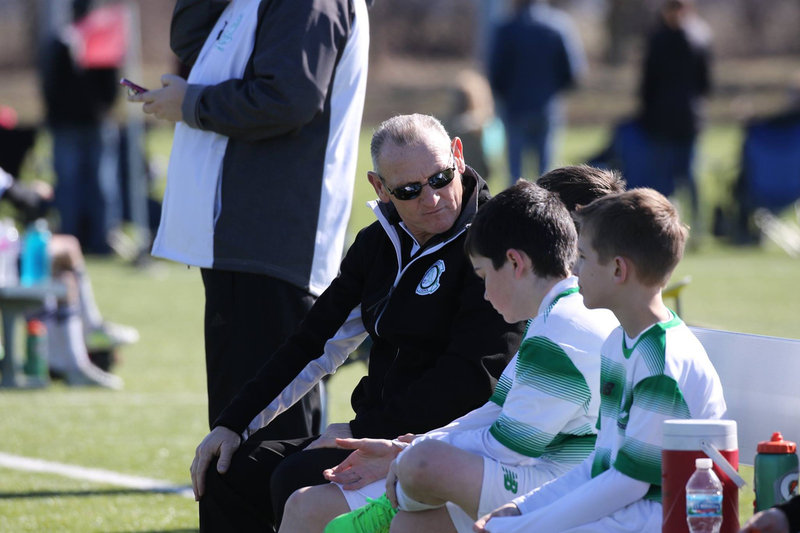 "In my twenty-five plus years of coaching and researching youth players through coaching camps and select teams and, Olympic Development Teams I’ve made many discoveries and have come to many conclusions on the game of Soccer. Some of which may differ in philosophy from other coaches. However, I would like to share my thoughts and discoveries on the youth game with you."